The insatiable appetite for TVs with massive screens, sharp definition and beautiful colors has made organic light-emitting diode (OLED) technology something to keep an eye on, but it’s long been far too expensive. However, on Wednesday, Silicon Valley startup Kateeva debuted a new way to solve that cost challenge with a breakthrough type of OLED printing technology. If you haven’t yet heard of OLED tech yet, it’s a next-generation, energy efficient technology, which uses organic light emitting diodes for flat panel displays, from cell phones to TVs. 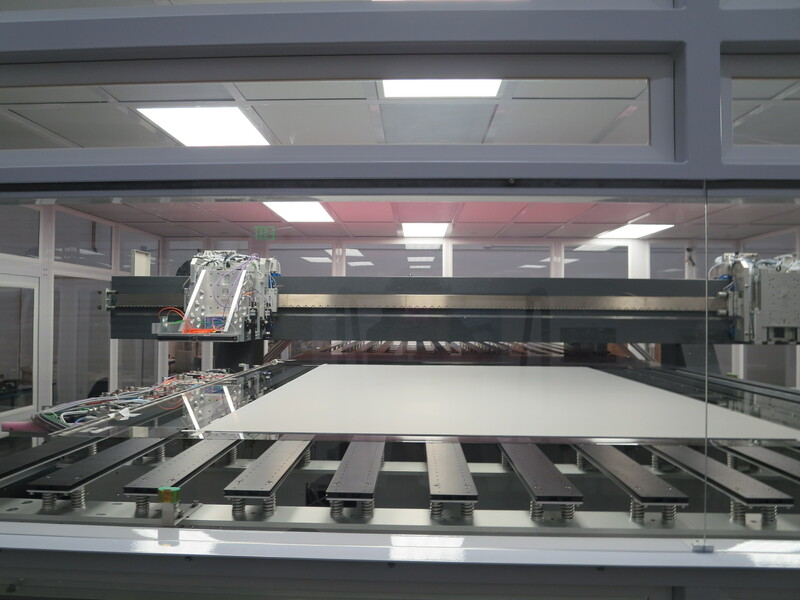 Kateeva executives said their printing technology can produce OLED panels at a faster rate and with less faulty ones than the current methods used by most companies. 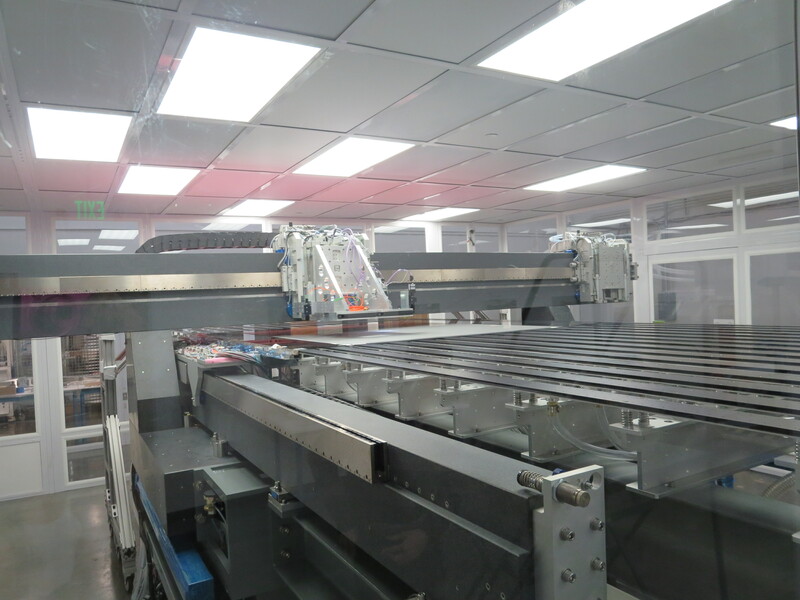 Most standard OLED makers deposit the semiconductors on a substrate covered with a mask, which is removed after it’s coated with the organic materials. Oxygen and moisture are deadly to OLEDs, and most manufacturers have to apply a coating to insulate OLEDs from these elements. But that encapsulation step is where problems tend to crop up and slow down production. Kateeva’s equipment prints LEDs in nitrogen to skirt the oxygen and moisture issue and in the process also creates OLED panels that deliver good visual quality for a longer period of time, said Conor Madigan co-founder and president of Kateeva. Printing OLEDs evenly has been a big hurdle, too. Madigan said the way to overcome that is to build into the production line a system that closely monitors and reacts quickly when a piece of production tool isn’t working properly. So Kateeva’s engineers added sensors and algorithms to do that, he said. The startup’s equipment, which it calls YIELDJet, is designed to handle a piece of glass large enough to create panels for six 55-inch TV, Madigan said. The ability to create large panels for less is critical for Kateeva’s success. Small OLED panels for smart phones and game consoles are more common and easier to produce. Both Samsung and LG, the leading flat panel display and TV makers, have unveiled 55-inch OLED TVs in the past two years. Those TVs started off at around $14,000 but have since come down in price to less than $10,000 as the two companies compete fiercely to see who can improve the manufacturing process quick enough to reduce the production cost. Still, the price is too high for most consumers. Madigan wouldn’t divulge the production cost that Kateeva’s equipment can deliver, except to say that the cost should be around 30 percent less than that of LCD manufacturing when in mass production. Madigan started Kateeva in 2008 and initially expected to launch the production equipment sooner — his original projection was to reach the 30 percent lower production cost by around now. It takes about six months between placing an order and receiving Kateeva’s equipment — then another year from the time a manufacturer installs Kateeva’s equipment to when it can get it to run at a full production rate. The startup expects to see its customers, who Madigan wouldn’t disclose, to reach that mass production level for TV panels in around the 2015 to 2016 time frame. The OLED technology is good for creating flexible displays, too. With talks about foldable phones and watches, which require much smaller OLED panels, Kateeva could see its customers start using its equipment to mass produce flexible products in 2014. The startup doesn’t have a monopoly on developing OLED printing technology. DuPont, for example, has worked on printing OLEDs. Kateeva should have the ability to assemble and test the first eight systems ordered, Madgian said. More than that, and it will have to figure out where to produce and distribute the machineries. Kateeva has raised $75 million in venture capital so far, from investors including DBL Investors, Applied Materials, Madrone Capital Partners and Musea Ventures. Not so sure TVs won’t be o their deathbed by then with mobile devices and glasses taking most of our screen time. I don’t see any mention of stretchable screens ,any clue if they have a path to that? excellent. great to see they are back on track. Great new CEO in Alain Harrus too.